Christmas is the only time of year when many of us get to show off our vocal talents, singing a few carols at our children’s nativity productions or belting out the hits at the office karaoke party. Obviously some people have better singing voices than others, but it is possible to improve vocally through better breathing technique. In a similar way our learners often find that in order to take their swimming to the next level, improvement of breathing technique is crucial. 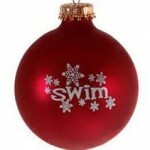 I have taken a few extracts of breathing advise from the singwise.com website that I think are relevant to swimming. Simply replace the word ‘singing’ with ‘swimming’ and discover some valuable insights. Tanking up: Most singers inhale as deeply and as fully as they possibly can as they prepare to sing each line of their songs or their vocal exercises, often in an attempt to avoid running out of air before the end of their vocal tasks. They may have also been taught that more air necessarily means a better supported tone. However, ‘tanking up’ or ‘overcrowding the lungs’ like this unnecessarily increases the subglottic pressure (the air pressure below the larynx). When swimming a stroke, we have a relatively short space of time to inhale so we have to make sure that the quality of the breath is good ( deep, not shallow) and the quantity is right (not tanking up). We have longer to exhale and need to make sure that we don’t hold our breath at any point (choke it off) or force it out (pushing out the air). The best singing performances look effortless and this is a lot to do with comfort and confidence that good breathing technique provides. The same can be said for swimming, control over you breathing is the key for a calm controlled, effortless stroke. This entry was posted in Uncategorized on December 12, 2017 by swimwithease.